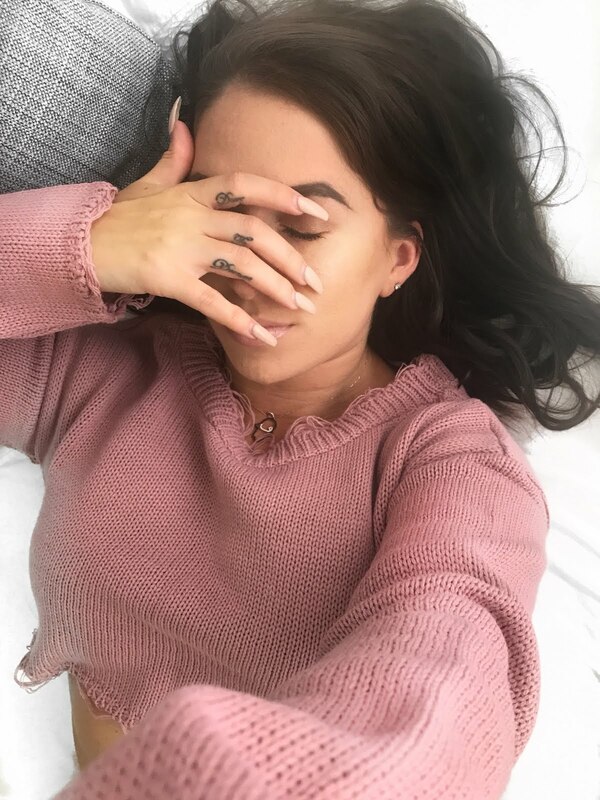 I'm not usually someone who wears watches, I barely even wear jewellery, but I know I'm not the only one who has seen this particular make of watch all over Instagram. And its probably the uniqueness of this brand that actually drew me in to take a closer look. 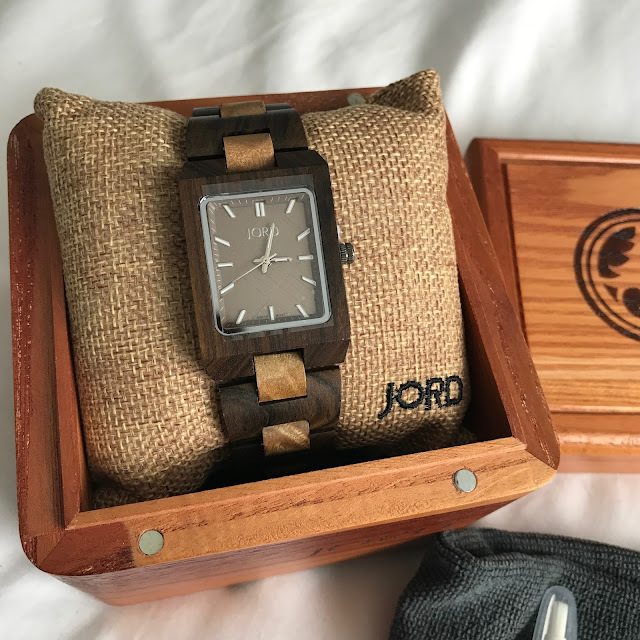 The brand in question is called 'JORD Watches' (which if like me you were wondering how it's pronounced it's "like 'toad' with a 'y' so 'yoad'") and they were kind enough to gift me an incredible watch which fyi is made to fit my wrist size in return for an honest and frank review. 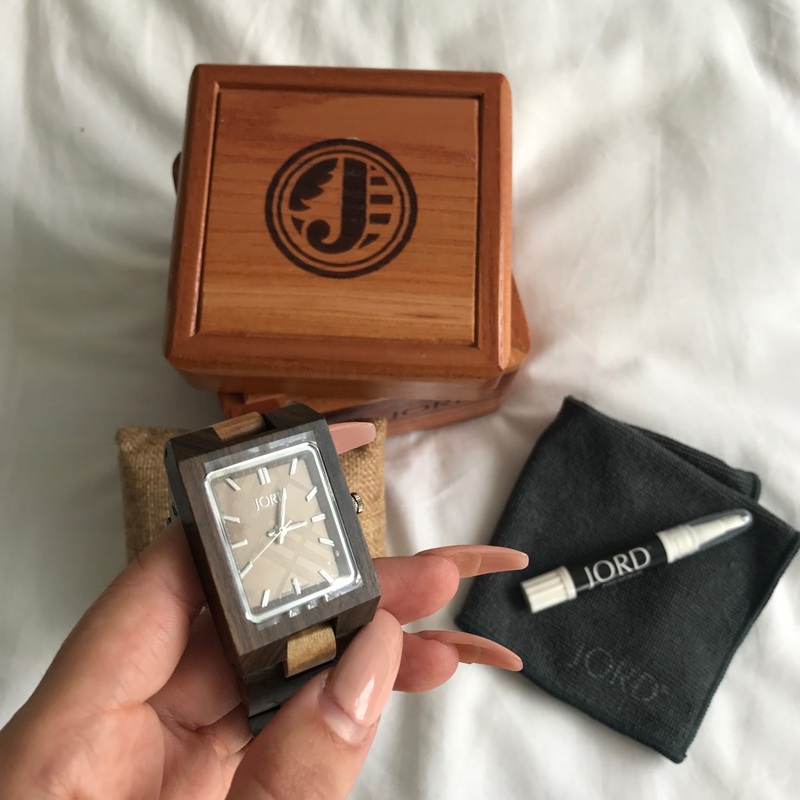 They have also been extremely kind enough to offer one of you, my lovely readers the chance to win $100 off a watch of your choice from their website, which has incredible unique watches to choose from. Just click the link below to enter your details, the winner will be selected and contacted by their system. Good Luck! 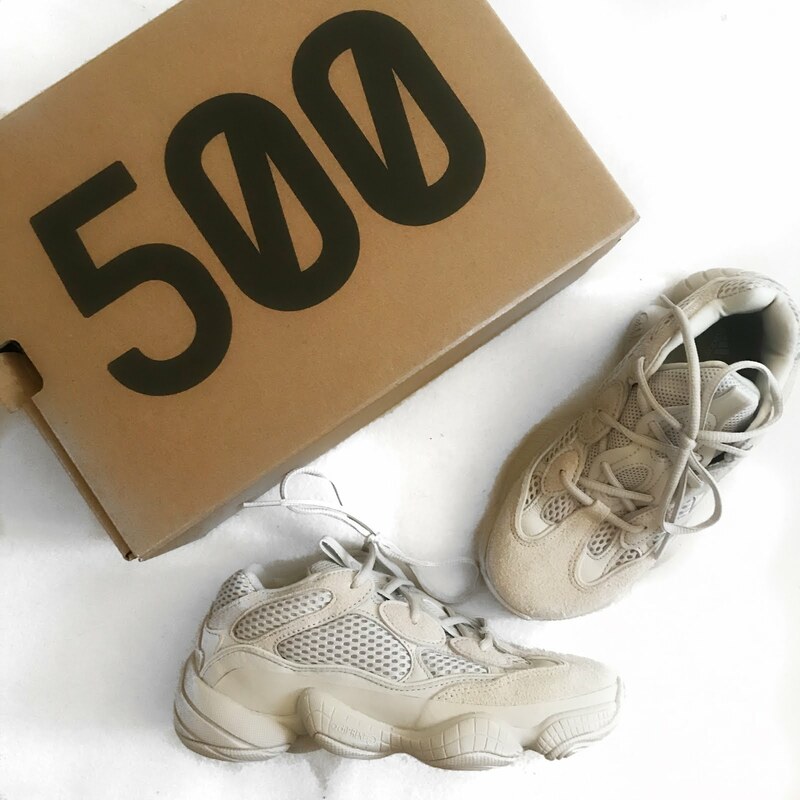 The giveaway will end on the 10th September 2017 so get entering you don't want to miss out! 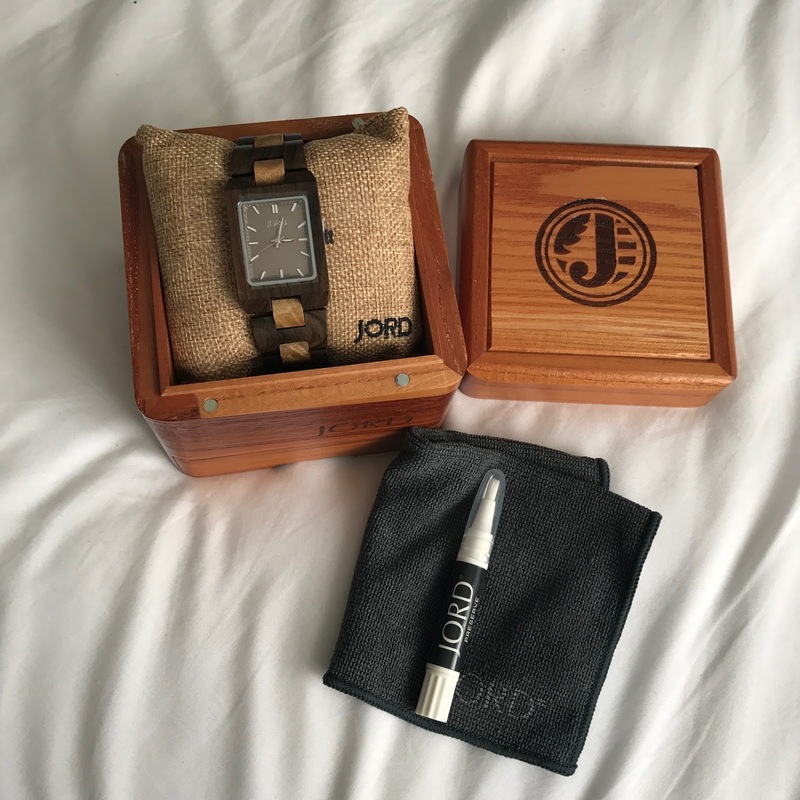 If you haven't heard of JORD watches then where have you been ?! 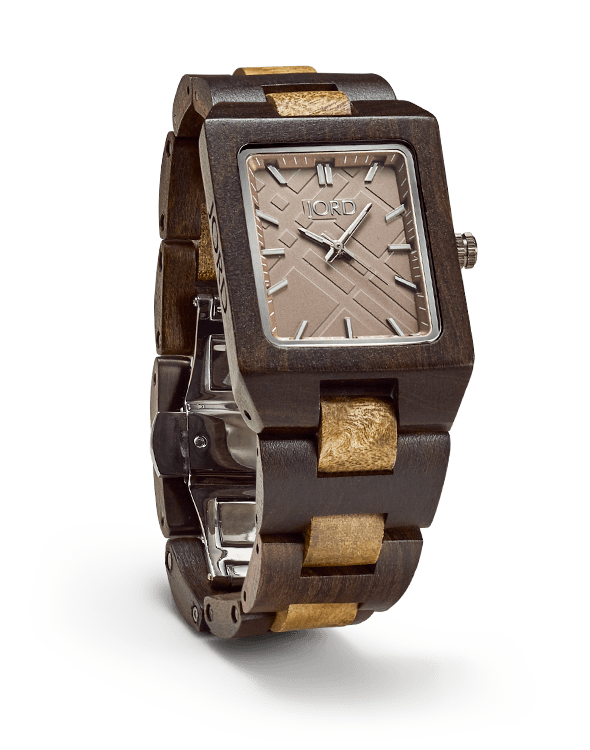 they are an incredible time piece carefully crafted, developed and deigned using wood and raw materials. They use only the best selection of wood and glass and ensure each one is made with love and care. Until I had seen these watches I hadn't quite seen anything like this before, and like I mentioned previously I never wear watches, I think a lot are heavy and weigh down my wrists and with them been fairly small they tend to not fit correctly. Which leads me nicely onto the fact that as well as them being handmade they are made to measure your wrist, so on placing your order you can note the size you require so you can ensure it comfortably fits. 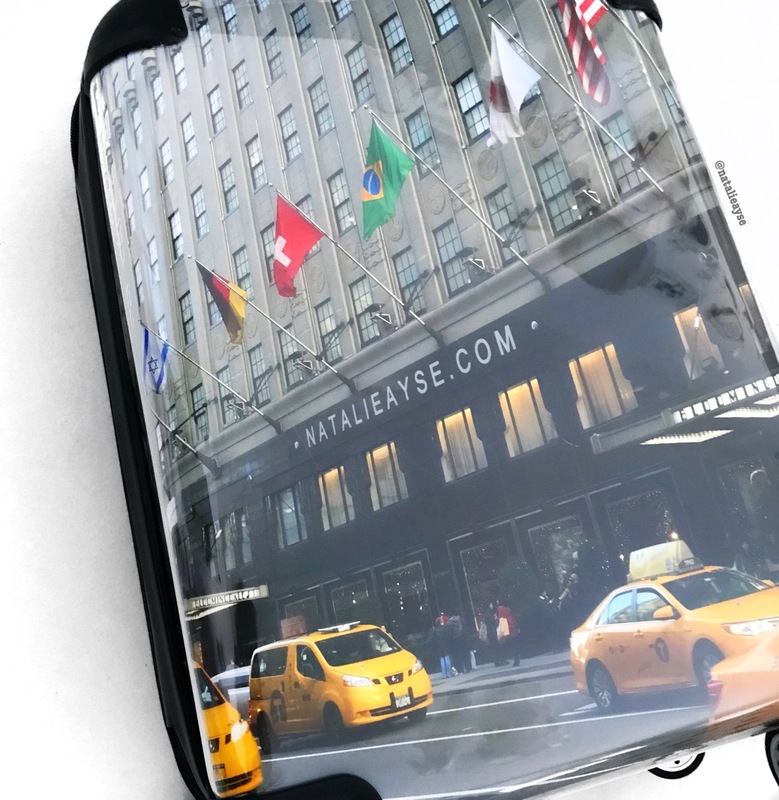 The customisation side of things with this brand are second to none as you can select the option to also have it engraved. This would make for a great gift, especially for that special man in your life or family and friends. They're also extremely versatile to wear and can be the perfect accessory to any look. 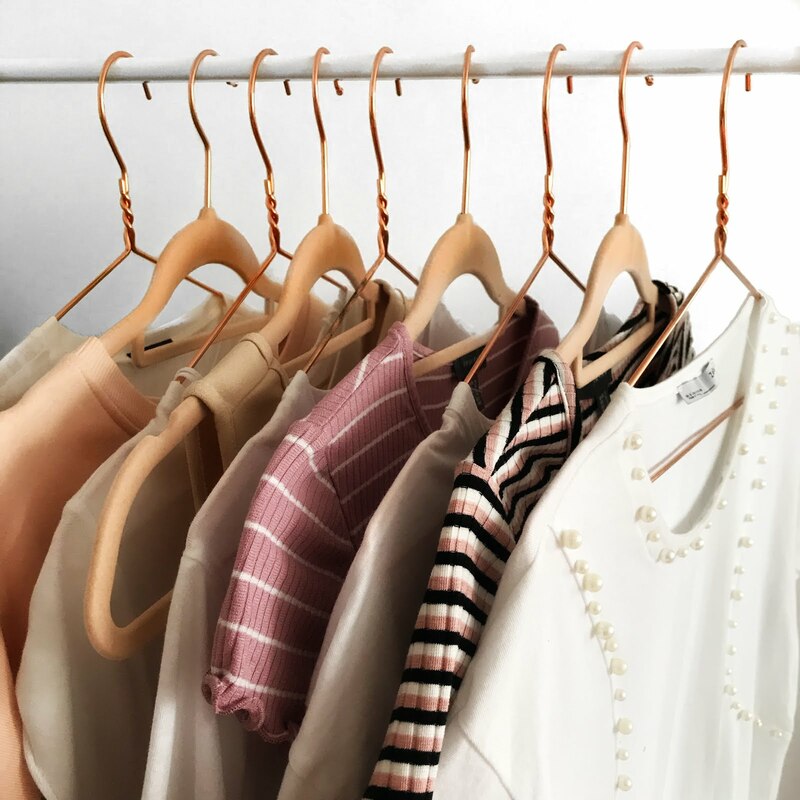 I loved put the above look together as it just goes to show you can style it with a little dress for a night out, or just as equally you could wear it with jeans and a tee during the day. The work which goes into these watches is incredible. They also have the date they were made engraved into the back just for that extra little touch. The watch I choose and which is shown above is the Reece Golden Camphor & Khaki watch which you shop directly here. I just love the wood and the colouring it's perfect and exactly what I was hoping it would be like. The presentation is second to none with its own handmade box complete with care card, cloth and oil to help preserve the natural wood. 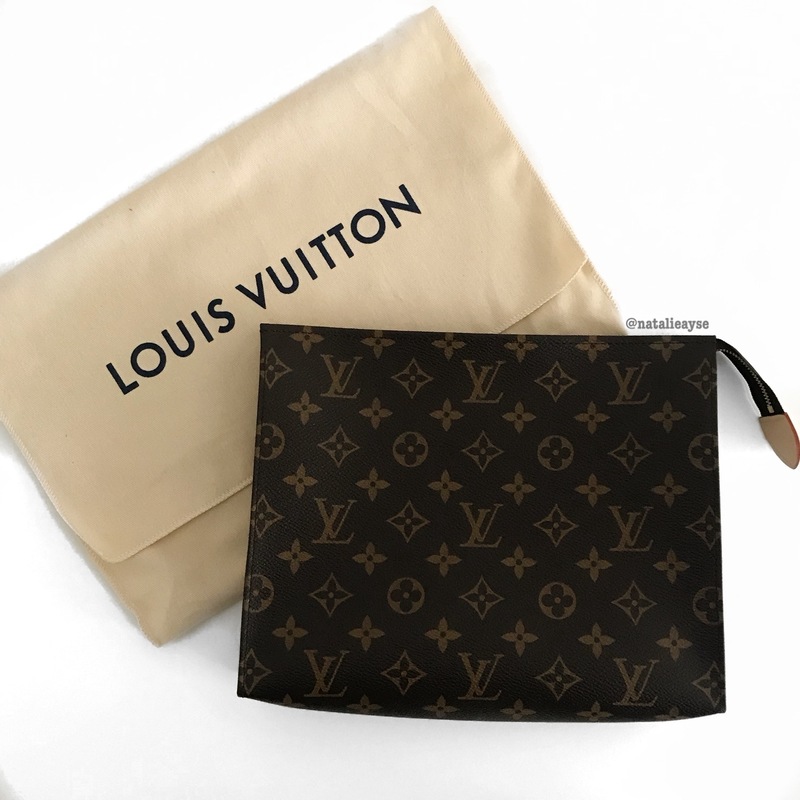 This would definitely make a great gift and the shipping is around a 7-10 days which I think is really good especially as its coming from the US. Just note you may receive customs tax due to this. Don't forget to leave me a comment below if you have one of these or let me know your favourite. This is such a gorgeous watch! I absolutely love how it was presented to you in that amazing box and you've styled it so well! Love the design so much and the colors are striking! What a lovely watch! 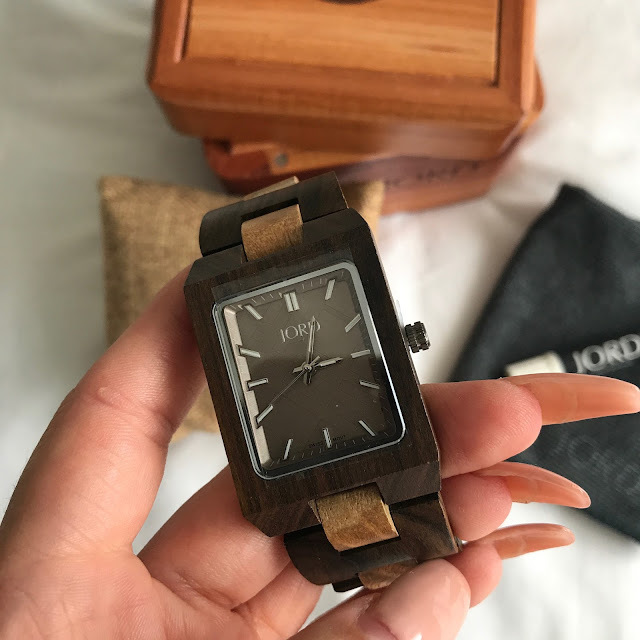 I've always been a fan of Jord Wood Watches. I didn't know about the date on the back! I've never noticed that on mine! Goes to show I need to work on my orientation to notice detail! 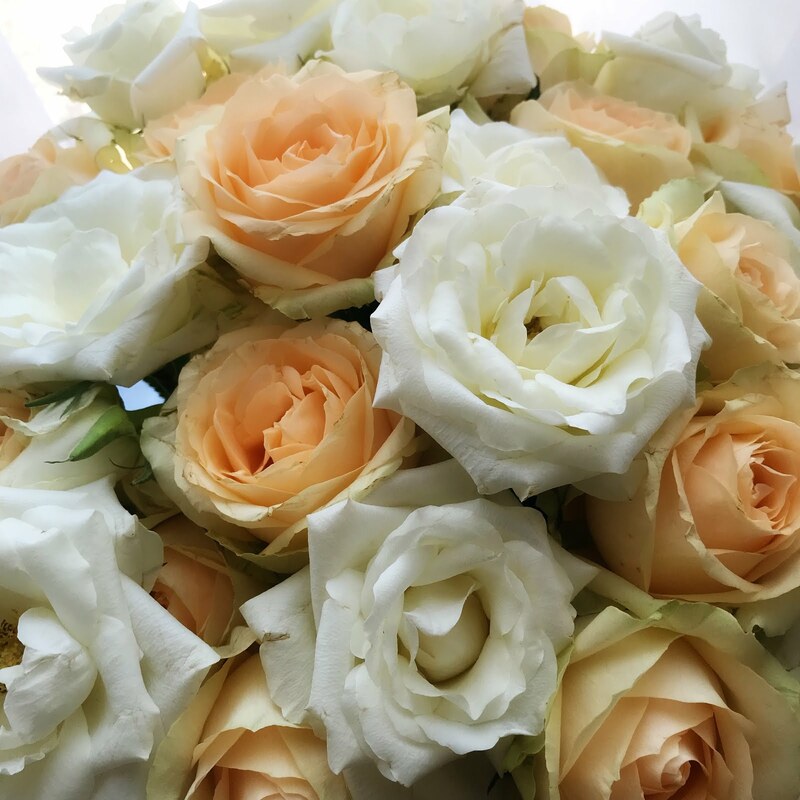 This one is lovely and is making me want to wear mine today! Thank you for the inspiration!